Did you see the blood red lunar eclipse? Wish I had, but here in Calgary we mostly had the undersides of clouds at 5 a.m. Pity. Poor us. But there are other eclipti coming. April and September 2015 should look good, although the long-term weather forecast is calling for continued clouds. Maybe the forecast will be wrong. So we missed the eclipse. But it was an excuse to rise early and read up on lunar history. I learned that on this month (October 2014) just 55 years ago, no one had any idea what the dark side of the Moon looked like. It could have been green cheese – and you can bet that more than a few debunkers still believe it is. 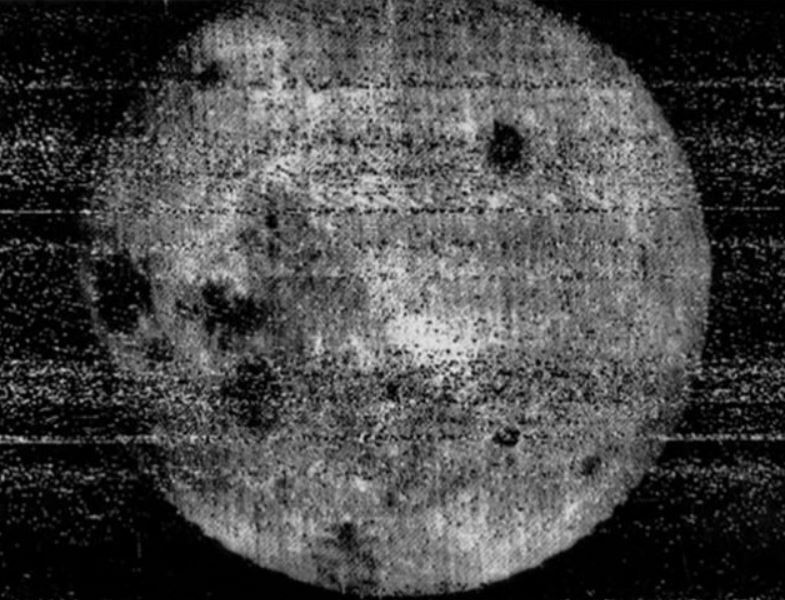 The first image of the far side of the Moon, taken by Luna 3 in October, 1959. But on October 4, 1959, a Soviet satellite exposed a roll of film (I know, it was one of those expensive digital cameras.) on the far side. The satellite sent back the fuzzy picture you see above. It looks grainy, but I am told that television wasn’t much better than this in the 50s. And it was sharp enough to allow the Russians to name most of the newly discovered features. 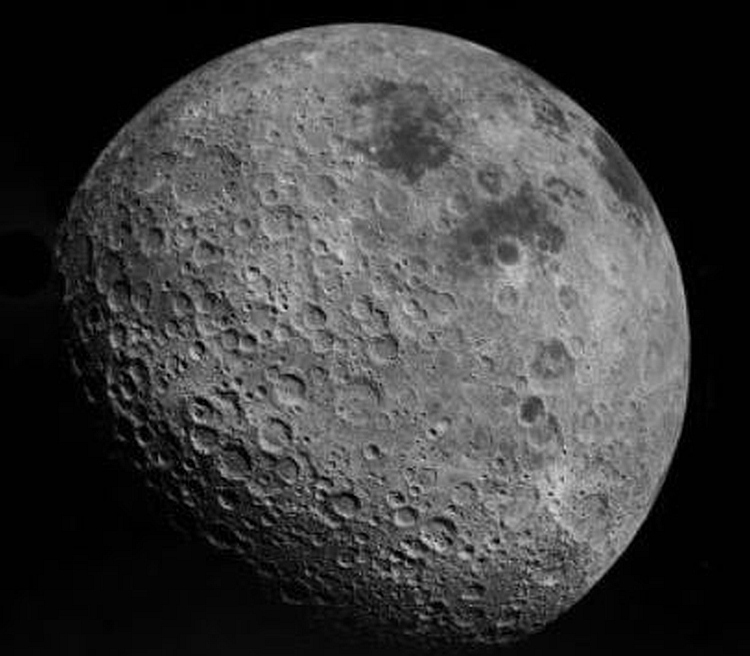 Kondratyuk, Tsiolkovski, Volkov, Pavlov, Dobrovolskiy, and Shirakatski were some of the names on the larger craters and landmarks when the Russian Academy of Sciences released the first atlas of the Moon’s hidden side. The far side of the Moon seems to be brie-free, but it is nevertheless decidedly different from the near side. The hidden lunar surface is much more crater pocked and has considerably more rugged terrain than the side that perennially faces Earth. The visible side has its great seas (about a third of what we see is maria, or lunar plains; only 1% of the distant surface has comparable features). The reason for the distinct difference is still debated, but seems linked to the way the Moon formed, which may have included an extra splat of another primordial satellite that fused itself to the lunar far side. The far side of the Moon viewed in a more recent, sharper image. This entry was posted in History, Space and tagged exploration, Soviets, The Moon. Bookmark the permalink.